Knowledge Base > Arqam > How to enable Instagram counter ? Go to Arqam options page and from Instagram Settings box, click on Get Access Token button. Copy the URL in your address bar because you will use it in the next steps as your “Valid redirect URIs”. Make sure you are logged into Instagram.com and then visit http://instagram.com/developer. Register your WordPress site by click the “Register a New Client” button. Copy the Client ID and Client Secret. – Go to Arqam options page and click on Get Access Token button. 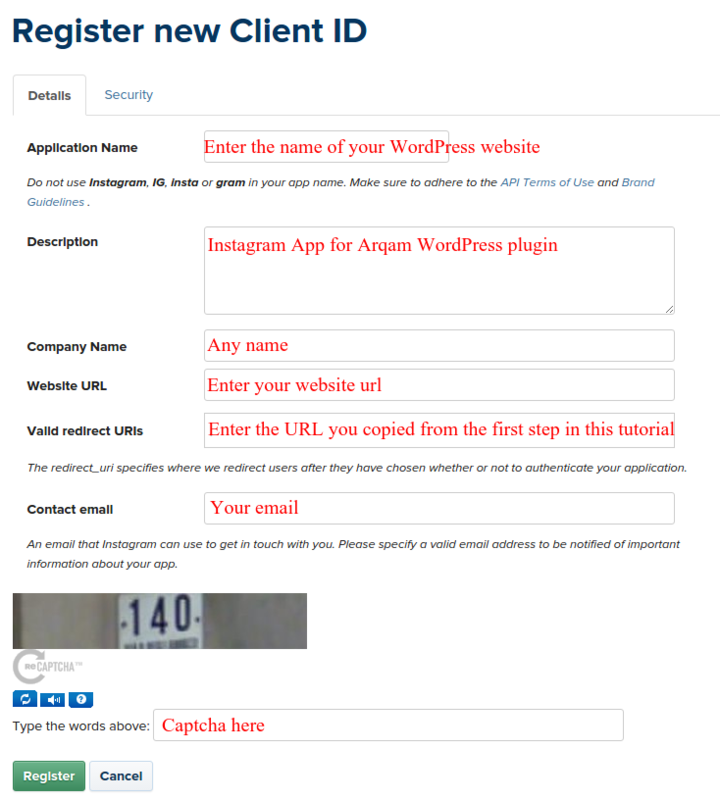 – Fill the Instagram App info form and click on Submit button. – It will redirect you to Instagram Authorization Request page .. Enter your Email and password and click on Authorize button. – It will redirect you back to the Arqam Settings page.